Getting older doesn’t necessarily mean that you need to take more trips to the emergency room. 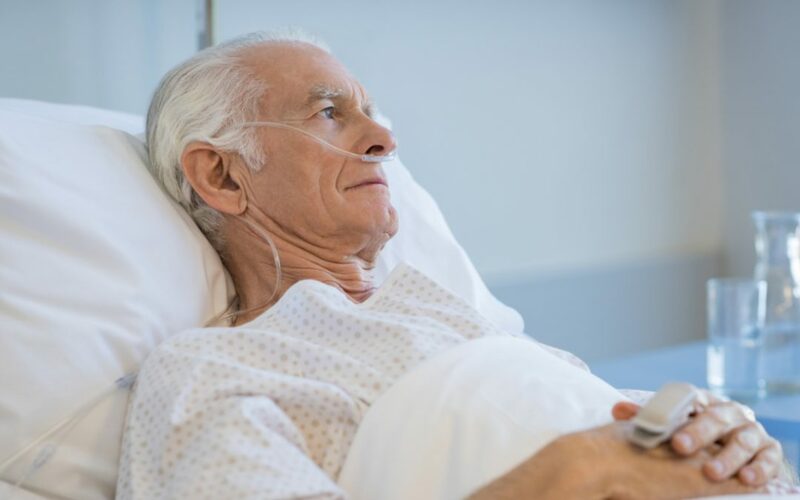 In fact, one recent study involving Medicare beneficiaries found that 60% emergency room visits were potentially preventable. This same study also found that 25% of hospital admissions were preventable. Seniors go to the ER for a variety of reasons including upper respiratory infections and falls. Even though Medicare Part A and Part B will cover some of the expense, going into the emergency room still costs a lot of money. Many seniors with Medicare still pay a copay and 20% of the overall medical bill. Assisted living communities provide services that help seniors avoid repeated trips to the emergency room. By choosing a community with the right services, your loved one could avoid the expense and discomfort of injuries that require emergency medical treatments. Many communities also have on-site programs and sessions that focus on maintaining strength and balance. The more seniors train, the less likely they are to fall. Combining safety equipment with exercise classes can prevent the falls that often force seniors to visit the ER. Respiratory illnesses lead to a large percentage of emergency room visits. When older adults get colds, the flu, pneumonia, or other respiratory illnesses, they require immediate medical attention that can save their lives. Unfortunately, many seniors try to dismiss early symptoms because they don’t want to go to the hospital. Their loved ones may also ignore symptoms until they become extreme. Seniors at assisted living communities have regular contacts aides and nurses that know how to spot the early signs of illness. By noticing the signs of respiratory and other types of sicknesses, seniors can schedule appointments with their normal doctors instead of going to the ER. As a result, they get to save money, avoid severe symptoms, and improve their health by maintaining regular contact with their physicians. Older adults should get at least 150 minutes of moderate-intensity aerobic activity each week. They also need to participate in muscle strengthening exercises at least twice a week. Many assisted living communities have exercise classes that help residents reach these goals. Classes may include chair yoga, walking, and gentle stretching. By getting enough exercise, seniors can delay many of the illnesses that require ER visits. Aerobic activity, for instance lowers the risk of heart attacks and strokes. Paired with nutritious meals, seniors can also avoid conditions like diabetes, which can lead to sudden symptoms that need immediate medical attention. Everyone needs good nutrition to lead healthy lives. Eating a balanced diet, however, becomes even more important as people age. Without these and other nutrients, seniors become more susceptible to sudden changes in health. Assisted living communities provide the well-balanced meals to keep residents healthy. That way, they avoid long-term illnesses and trips to the ER. Many assisted living facilities give seniors the privacy that they need to live independently. Even though the residents get to enjoy their freedom, they always have access to the staff when they need help. In effect, this means that seniors benefit from around-the-clock observation that helps them avoid ER visits. Having support from trained staff members helps seniors avoid potentially dangerous situations. For instance, a senior living alone at home might take the risk of climbing a step ladder to reach a high shelf. One wrong step could cause a serious injury. At an assisted living community, residents can ask staff members to help them with tasks instead of putting themselves in danger. Around-the-clock observation also helps the staff and family members notice symptoms of illness as they progress. If a senior starts skipping meals, for instance, the staff will notice and check in on the person. Seniors that live alone don’t have other people to recognize behavioral changes. That often forces them to call an ambulance when small illnesses become significant. Sometimes, seniors do indeed need to go to the emergency room. No amount of prevention can prevent every fall and sudden illness. You can, however, lower your loved one’s risk of needed emergency medical services by choosing a well-staffed assisted living community with the right services.